One of the men who tackled Will Connolly, aka Egg Boy, to the ground is a convicted criminal who is wanted by police for ‘terrorising’ a church. Egg Boy became a national treasure just one day after the terror attack in New Zealand, which left 50 innocent people dead and 50 more wounded after a white nationalist targeted two mosques in Christchurch. Unwilling to let Australian Senator Fraser Anning get away with his comments whereby he blamed Muslims for the terrorist attack, the 17-year-old took action by smashing an egg on the senator’s head. Footage quickly emerged showing the hideous response from Anning’s supporters towards Connolly, a teenage boy. The most distressing video – taken by Connolly himself – showed the teenager being tackled by a group of grown men, dragged around and held in a chokehold. 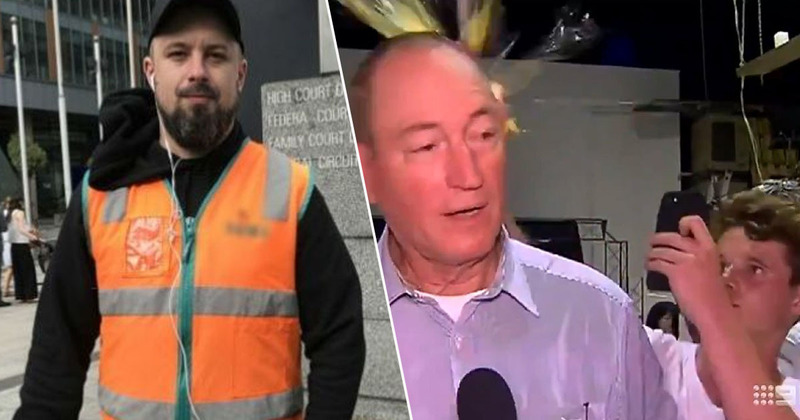 And now it has emerged that one of the men who tackled Egg Boy is a convicted criminal who is currently wanted by police for ‘terrorising’ a church. Far-right activist Neil Erikson has been identified as one of the men who held Connolly to the ground after he egged the senator, the Independent reports. Erikson has also been named by Anglican priest Father Rod Bower as the man who allegedly ‘terrorised’ a church last year by interrupting a service with whips, a sword and a megaphone, reportedly traumatising the congregation. Following the incident in May 2018, Erikson was due in court charged with disturbing religious worship and using threats to prevent a clergyman discharging duties. I think it’s sad that a senator in our nation gathers around him such people of questionable moral fibre. I won’t be deterred from building bridges by people who want to build walls. It’s imperative we don’t bow down to this kind of violent bullying. 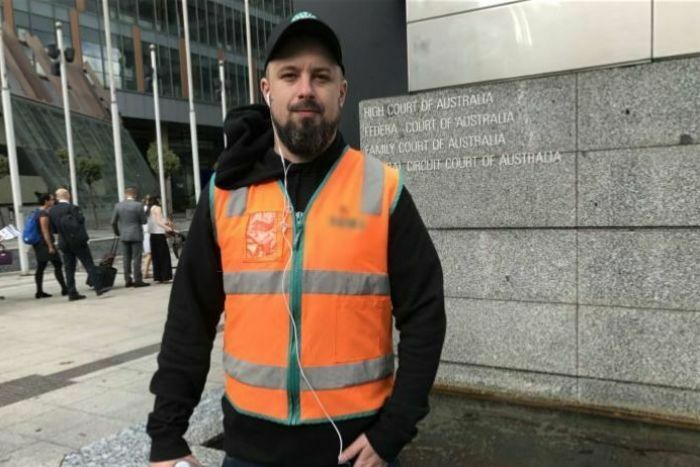 Erikson has also been convicted of inciting serious vilification of Muslims when he staged a mock beheading a mannequin with other far-right activists outside the Bendigo Council offices in 2015. He was fined $2,000 AUD. In a video posted online, Erikson later responded to Father Bower, threatening to ‘storm’ New South Wales and telling him to ‘come and get me’. If you want me to come back to New South Wales to face my accusers, come and get me. You hate Australia… you’re a traitor to our nation. And like I stormed into your church with a whip, I will storm into New South Wales with the power of almighty god. Our thoughts are with the victims and their families at this difficult time.